You are at:Home»Tool Talk»Never Get Frustrated With Hole Saws Again! 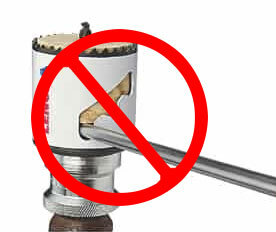 Lenox Self Ejecting Plug Ejection Holesaw Arbor Mandrel Will Calm The Most Irritated of Tradesmen or DIY’ers! I doubt if there is a Tradesman or DIY’er that has not cursed when trying to remove wood plugs or metal disks from hole saws. Even with slotted designs from Lenox and Diablo, you still need to have a screwdriver on hand to pry out the plug – although it is an improvement, it is still bad design! 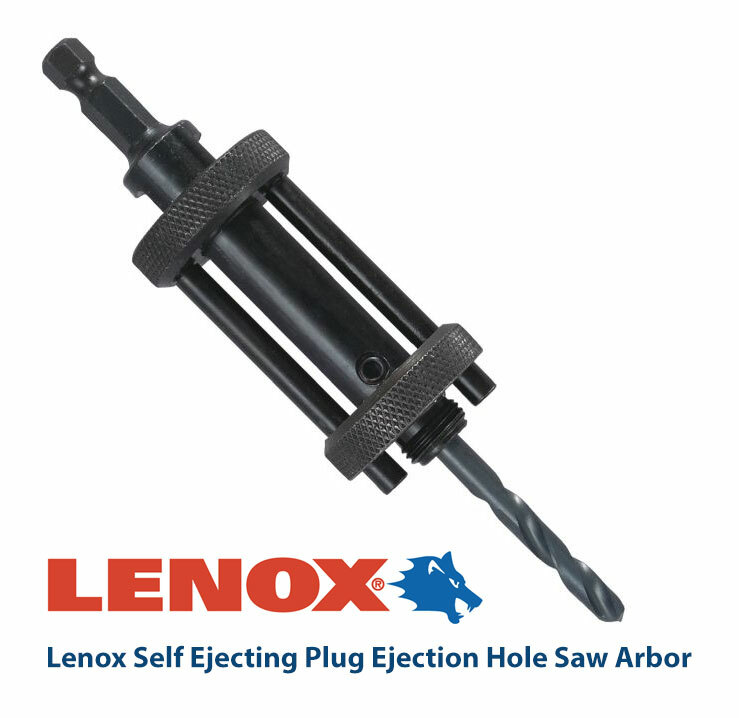 Lenox Introduces The Self Ejecting Hole Saw Arbor! Lenox recently introduced the amazing new self ejecting hole saw mandrel and let me tell you, it works GREAT!! 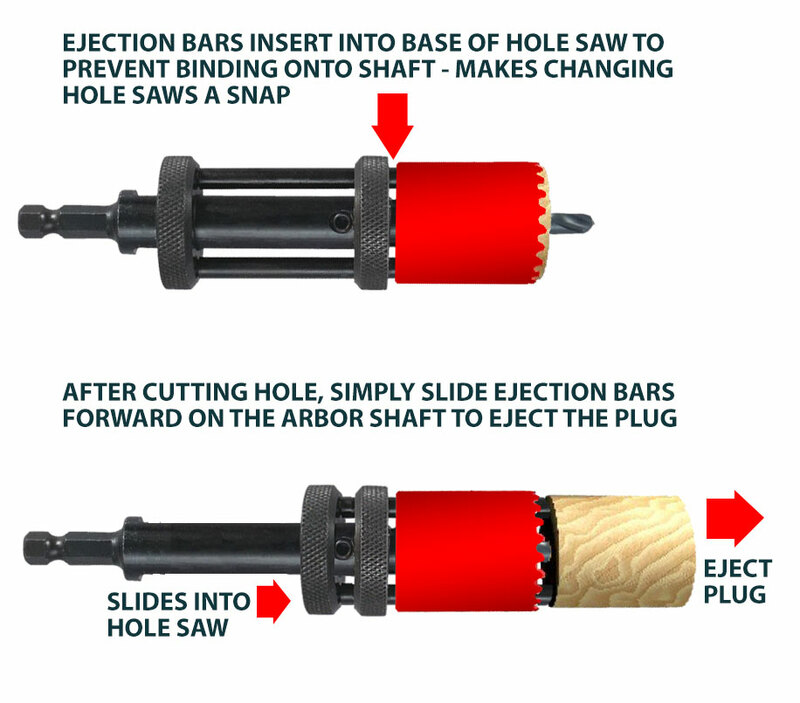 You can clear out wood plugs or other materials with a quick slide of the ejection bars on the shaft. It has to be one of the most innovative products for hole saws to date – no other arbor or hole saw design even comes close! 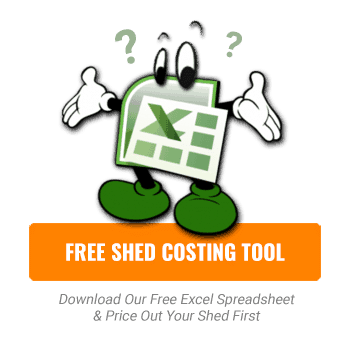 A Must Have For Plumbers & Electricians! Of all the trades in construction, plumbers and electricians use hole saw pretty much every day. Often cutting dozens of holes for pipes, conduit and so on. Stopping to pry out plugs when you are doing so many can add up to a lot of lost time (and profit) and likely put the person behind the drill in a bad mood! With the Lenox Self Ejecting Hole Saw Arbor this is no longer the case, a quick snap of the wrist and the plug is ejected – this can save time and money on the job. It also makes the task more enjoyable knowing you won’t be prying out stubborn plugs! Will Lenox Discontinue Their Self Ejecting Arbor? Did the Lenox product development team consider a decline in hole saw sales with the introduction of the self ejecting arbor? Not likely! After all, with the self ejecting arbor, you can use any hole saw from any other company with ease! This makes the slotted designs from many well known brands redundant – including Lenox’s own line of hole saws. 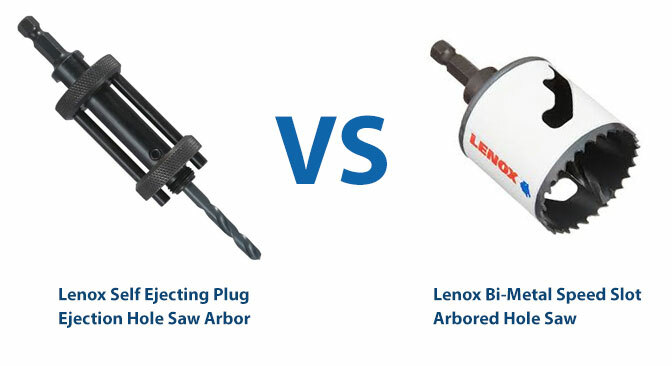 That said, if you have used the Lenox New T3 Technology line of hole saws, you will know work extremely well, with little or no burning, fast cutting and Bi-Metal capability. I doubt if sales would decline much, but for Lenox, any decline in sales would not be good thing. I do believe (and I am guessing) Lenox may discontinue their self ejecting arbor. I would think it will effect sales of their main line of hole saws and in my mind, it is an obvious choice. 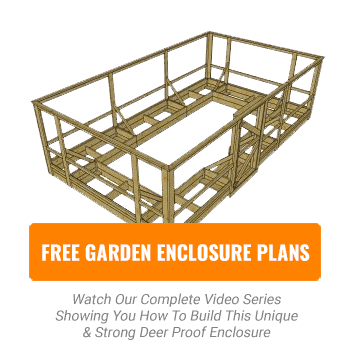 To confirm this, I searched the Lenox website for their self ejecting arbor and it is NO WHERE TO BE FOUND. Nor did I find any YouTube videos from Lenox promoting this arbor – I would say this indicates there may be plans to discontinue it – which of course would be disappointing (at least if you have used one and know how good it is). Get One While You Can!! Seriously, They May Not Be Around Long! I just ordered 2 more of these for future stock. My gut feeling is they will not be on the market that much longer. If you want an amazing tool that truly makes cutting holes a breeze, the Lenox Self Ejecting Hole saw Arbor is a must have tool.